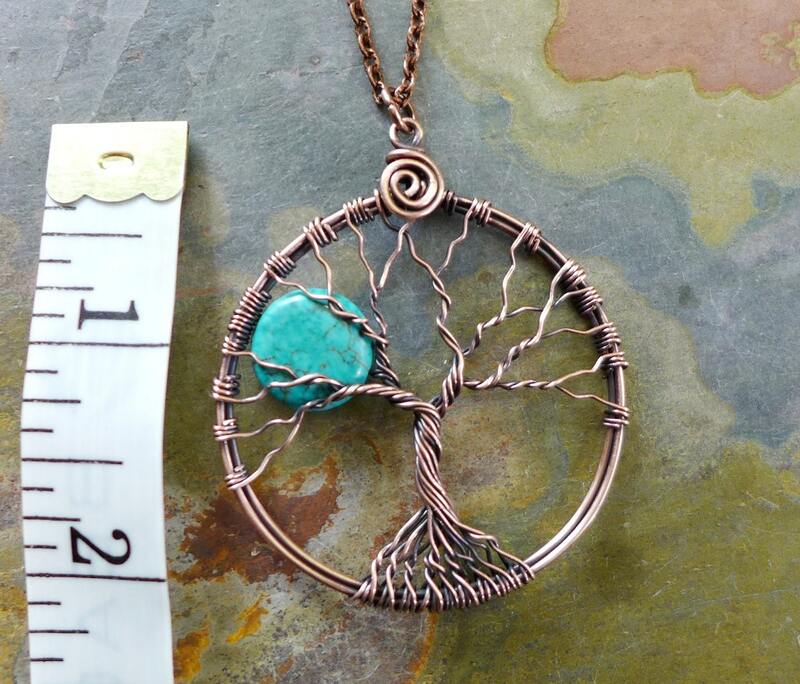 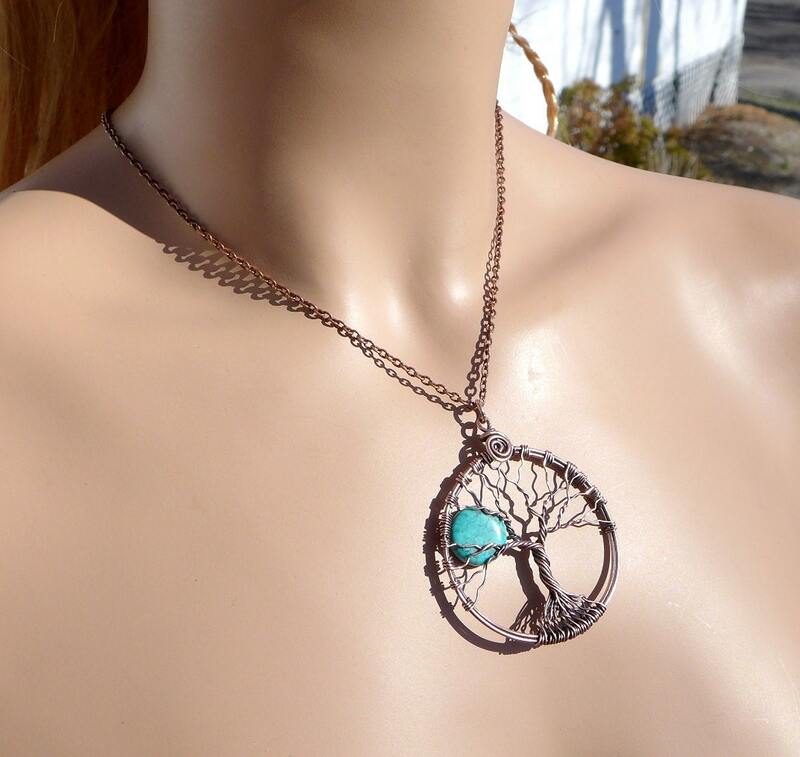 This unique pendant is made with Blue Turquoise gemstone using genuine copper wires in Tree of Life style in various gauges of copper wires. 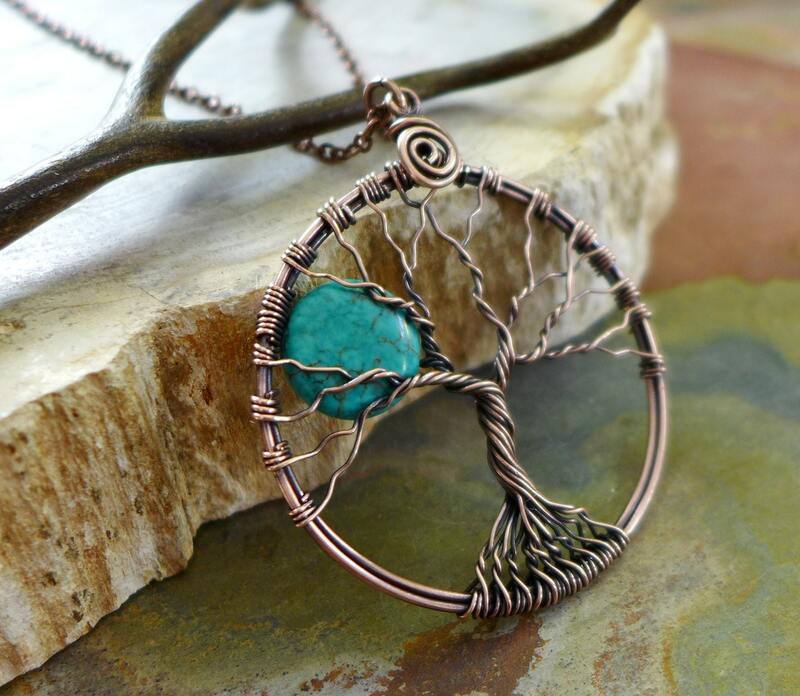 The pendant is antiqued, hammered & forged to give strength, texture & stunning details of the finished pendant.It is polished to give that warm & rich look of the finished tree of life. 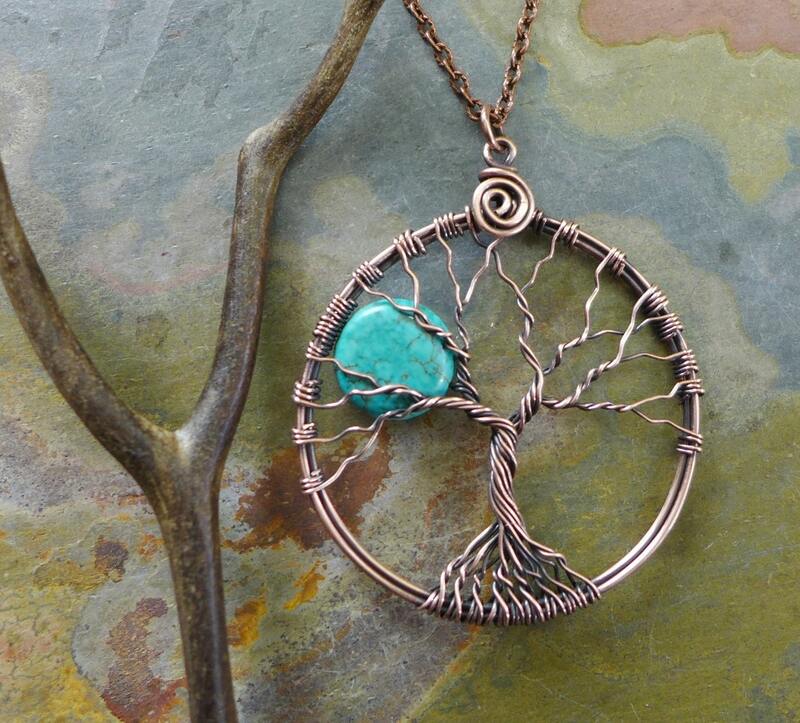 ~~The pendant measures 1-3/4 inch in diameter. 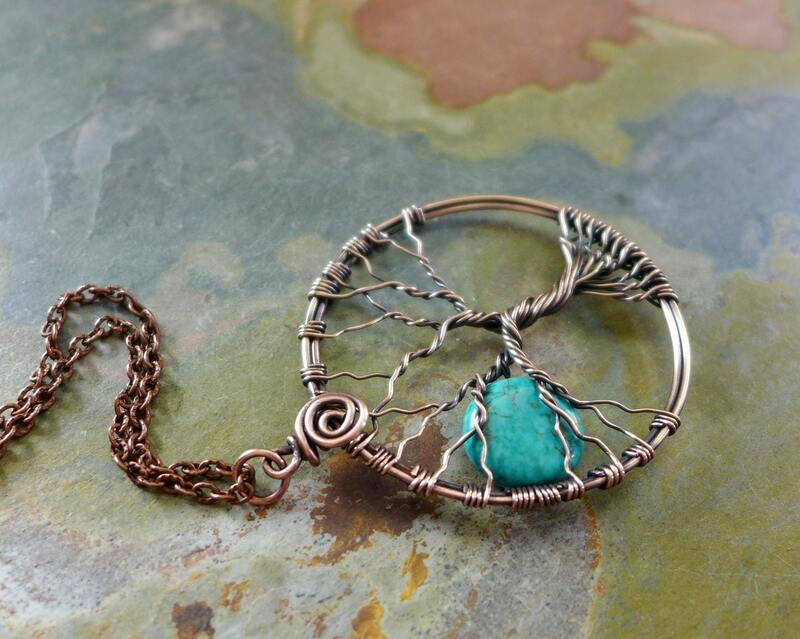 This beautiful pendant comes with an antiqued copper cable chain.